Why is Kik Called Kik? There’s an interesting dichotomy in the world of startups that isn’t often talked about. New companies are essentially founded for one of two reasons. The first is that there seems to be a need that’s not yet being met, and someone wants to fill that void. The second is that the void is already being filled, but someone thinks they can do it better, or, differently. It sometimes seems as though the latter group is less common, and perhaps because they get discouraged by competition. Most tend to think that if the industry is already established, creating competition is difficult, if not impossible. Yet some have proved that the startup economy is not one of starvation. Many existing competitors are almost equally successful. Some might even suggest that competition consistently makes innovative companies even more innovative, while reducing the price for consumers. Take Facebook and Twitter, for example. Or Uber and Lyft, WhatsApp and Kik. Each of these companies provide extremely similar services, yet all of them are incredibly successful by most standards. But how do they do it? How does something like Kik gain traction in a world of WhatsApp users? They start by differentiating themselves, which often begins by analyzing what the current players aren’t fulfilling, and prioritizing these missed opportunities by potential impact. Kik, for example, was founded in 2009, the same year as WhatsApp, by a group of students at University of Waterloo Velocity Residence in Waterloo, Ontario. But from the start, Kik gained traction for its anonymity–something unique to the service. While other messaging services verify phone numbers to identify its users, Kik relies only on registered usernames. It has, however, been met with controversy. Just this year, the New York Times reported a number of crimes involving Kik. Some of them as severe as kidnapping and murder. Opponents argue that the promise of anonymity makes it easier for predators to disguise themselves, and the lack of verification makes it difficult for law enforcement to track down a culprit. Despite the concern, Kik claims as many as 300 million users, with 70 percent being located in the U.S. In their defense, a representative of Kik stated, “We view user names and anonymity as a safe way to connect with people you meet on the Internet.” After all, their initial plan was to revolutionize computing by moving the hub from the PC to the smartphone. They’ve since added safety features that requires users to accept messages from unknown contacts. The feature enables users to resume a conversation on Kik that may have started elsewhere, like Twitter, without giving private information like a phone number. Why is it called Kik? The messenger operates more like AOL Instant Messenger than SMS, because it uses mobile data and wifi to transfer messages. Users can also share unlimited photos, sketches and other web content for free– a price that undoubtedly appeals to youth. Instead of an app fee or advertising, Kik counts on brands for profit. In 2014, the chat platform introduced promoted chats, which, according to TechCrunch, “allows its 150 million-plus registered users to opt-in and connect with brands in what Kik hopes is a more engaging way.” In the last two years, they’ve evolved to Chat Bots. The Chat Bots are computer-driven conversations between a user and a brand that they’ve subscribed to. SEE ALSO: Why is WhatsApp Called WhatsApp? The Guardian gave The Weather Channel as an example: “With the Kik’s Weather Channel bot, a user can send a chat asking for ‘Current Conditions’ or a ‘3-Day Forecast’ and the bot will reply with your answer.” To date, more than 100 bots available in the bot store have exchanged almost 1.8 billion messages, reports Business Insider. 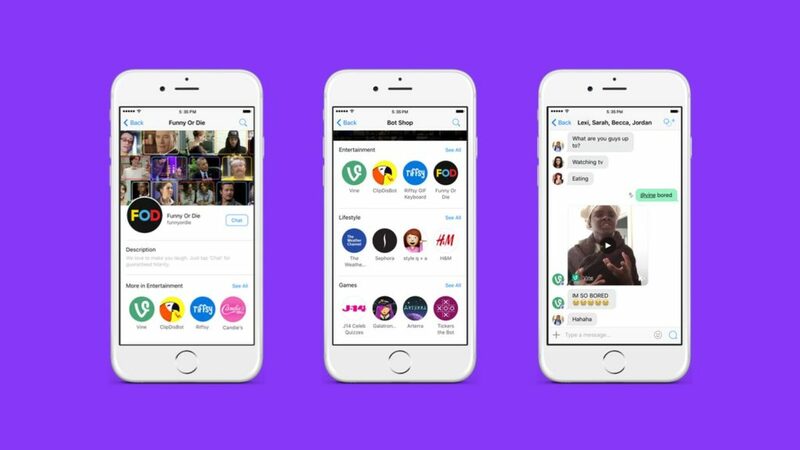 Despite its challenges, Kik has successfully given its users, as well as brands, a new place to engage with one another, which is exactly what they set out to do. Thanks for reading Why is Kik called Kik! If you use it, what do you like or dislike about the messenger? #whyisitcalledKik. Annelise Schoups is a contributor at Rewind & Capture. With a degree in journalism, experience in public relations, and an education in travel, she is passionate about cultivating knowledge and storytelling.